Wondering what we’re doing with Google Glass and what a glanceable computer is? Get caught up on Google’s page and Bike Hugger is participating in the Glass Explorers program, the second group. There are two Explorer groups actively receiving Glass. The first 2,000 recipients are developers from Google I/O 2012. The other Explorer group are the selected 8,000 #ifihadglass participants. 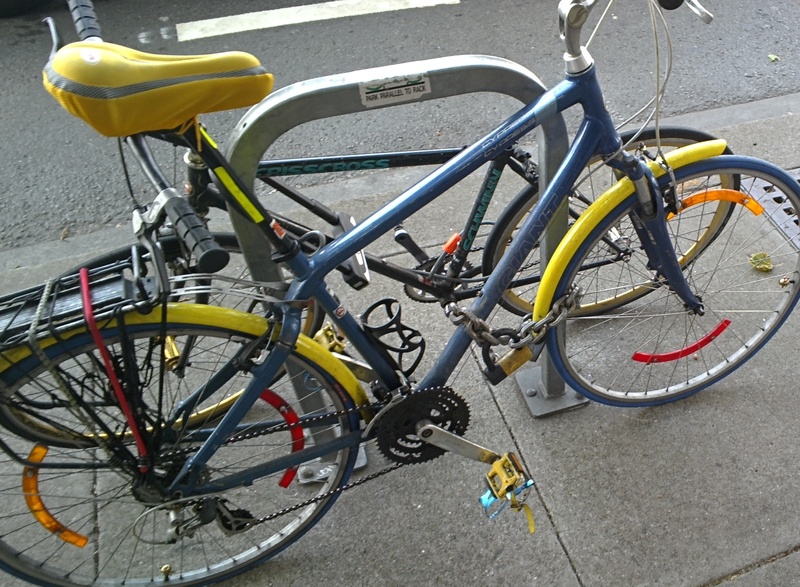 #ifihadglass would share with you how a bike is made from concept, to welding, to assembly, and then the first ride. I picked up Glass in San Francisco and wore it at media events with SRAM and Specialized. Glass is a heads-up display in an eyewear form factor that does everything from maps, photos, voice search, and video calls to email, calendar, Google Now and videos. I call this category of device a glanceable computer because a few important things to do are a glance away. View the photos taken and videos recorded so far with Glass on my G+ profile, including in this gallery. On rides I’ve recorded singletrack, bike paths, and the road. Also a writing a feature story about Glass and the bike for Wired. To date though, the best use of Glass has been beer tasting with Kevin Tamura.